This traditional view of St Bartholomew's Church dates from the very early 1900s, as evidenced by the almost complete lack of surrounding trees. 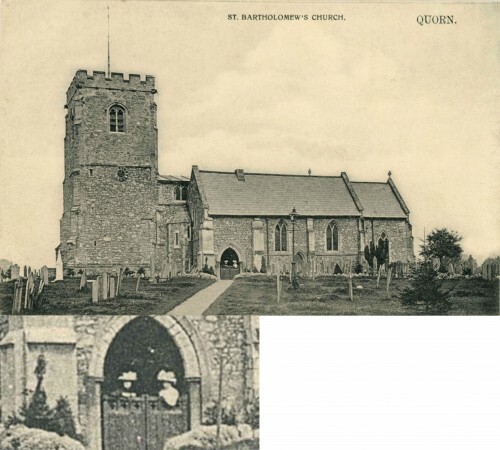 When you zoom in to the Church doorway, it reveals two ladies in large Edwardian hats - evidently their Sunday best! The postcard was published in Luxembourg, as were many of the earliest Quorn postcards.